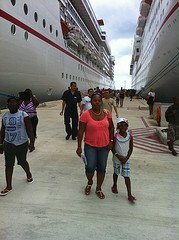 Finding family discount cruises is a must, if you have a family vacation to plan. However, some of you may even be skeptical that there are such things as discounted cruise vacations. 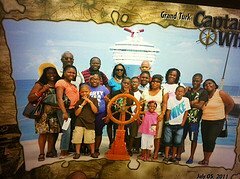 Well, if you are looking to save on your inclusive family cruise package, you have come to the right place! 2. 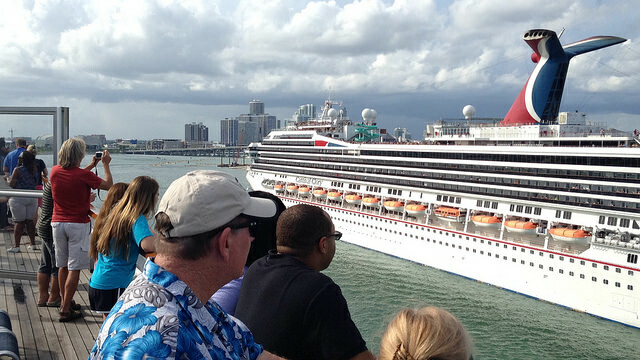 Seniors Discount - Some cruise lines offer cruise package discounts to people over a certain age. 3. Military Discount - Some cruise lines will give a discount to members of the military, active or retired. Alternately, these special people may obtain an onboard credit to use at their leisure. 4. Past/Returning Guest Discount - If you have traveled with a cruise line, more often than not you will get a discount when you travel again. 5. Onboard Credit - Some cruise lines will offer onboard credit to entice you to book with them. Some online travel agencies also offer onboard credit. Cruise Direct is famous for offering onboard credit bonuses. The only problem with these discounts is that you cannot combine any two of them. That is, if you get the Early Saver Rate discount, you cannot get the Past Guest Discount and vice versa. The good news from Petes Travel is that you will find family discount cruises at all times. 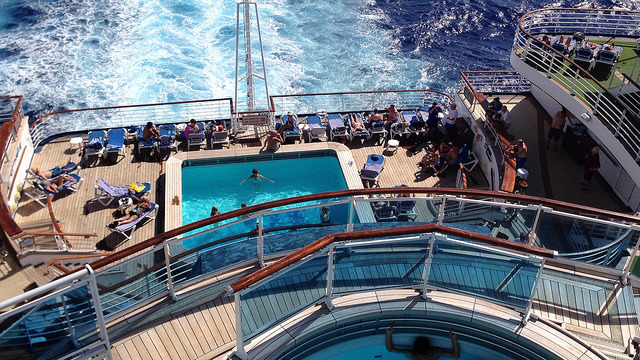 You will always get a discounted cruise package on every cruise booking. Additionally, you can combine your cruise discount from Petes Travel Center with any other discount from the cruise line you choose. Is that cool or what? For me, that is very cool! Like you, I have a family (5 of us) and we love to cruise. Whenever we do, we spend time searching for family discount cruises. 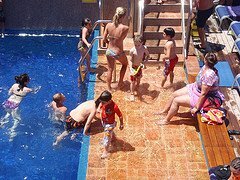 Now, we do not need to search anymore because Petes Travel Center always offers discounted family cruise packages. What kinds of discount family cruises does Petes Travel Center offer? I thought you would never ask! The discount offer comes in the form of an after sailing restaurant certificate. 1. Whenever you book a 3-day Caribbean cruise, 4-day Caribbean cruise, 7-day Caribbean cruise, or any cruise to any other destination, you will get a $25 Restaurant.com gift certificate upon completing of your cruise ship vacation. While this may not seem like a lot, it is simple token of appreciation. Remember also, that you will get this gift certificate along with any other cruise discount you get from the cruise line. 2. If you book a group cruise vacation (group cruises must have 8 cabins with at least 2 people in each) the first 8 cabins will each get a $25 Restaurant.com gift certificate, while the group leader will get a $100 gift certificate. Petes Travel Center will send these certificates out, upon the completion of your cruise. N.B. For group bookings, if you have 8 cabins sailed you will receive a cash-credit which will be shared based on your instructions. This credit can be applied as onboard credit to spend on the ship. Are these discounts without a catch? I know the offers sound too good to be true, but yes, they are true. 1. You will only receive your cruise package discount upon completing your cruise vacation. This is to guard against cancellations. You would not want Petes Travel Center to send you a gift certificate, even after you cancel your cruise booking. Right? 2. Petes Travel Center offers cruise bookings with the major Caribbean cruise lines. These include: Carnival Cruise Line, Crystal Cruises, Cunard Cruises, Holland America Cruise Line, Norwegian Cruise Line, Princess Cruise Line, and Royal Caribbean International. You must book with one of these cruise lines, through our website or directly with us, to get the discount on your family cruise package. Where Do I Book Family Discount Cruises With Petes Travel Center? 2. Complete the Cruise Quote Request form below and allow us to find your family cruise for you. Thank you for trusting us with your well-deserved, family cruise ship vacation booking. We are excited that you have come to us and are even more thrilled that we can offer you and yours family discount cruises.